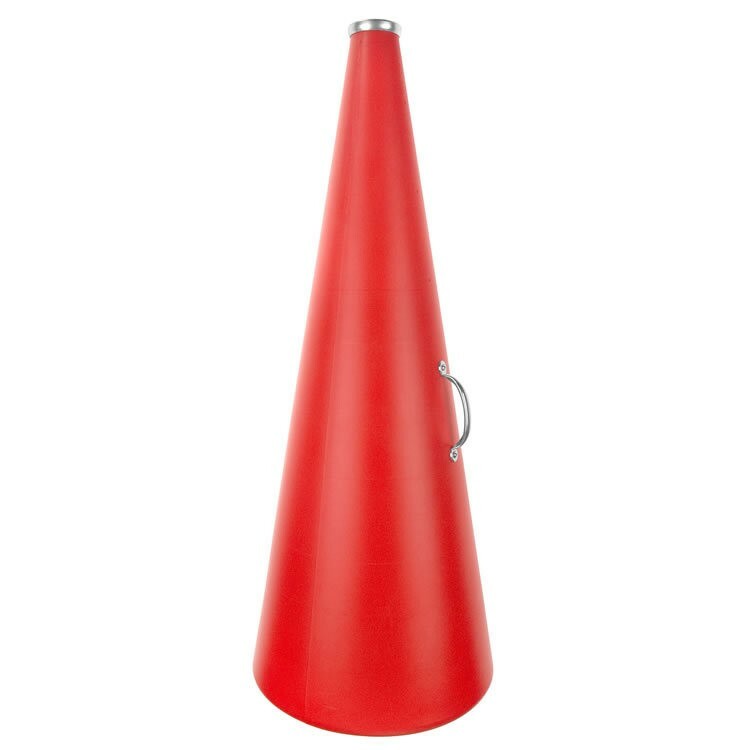 Sports fans all around the world love these best-selling noisemakers. 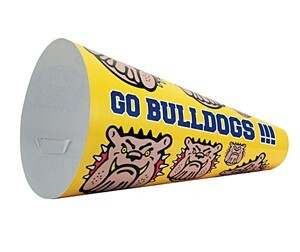 When inflated and sealed, fans hit them together for loud cheering fun. Sold in pairs. Made from 100% recyclable polyethylene. 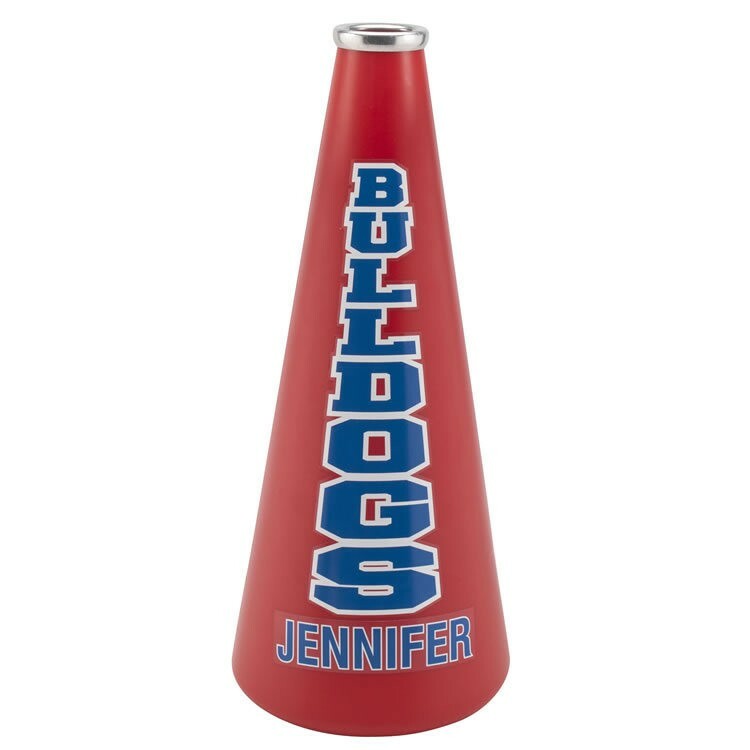 Although they are a lot of fun for sports games, these personalized noisemakers can be used to promote any type of company or fundraiser. 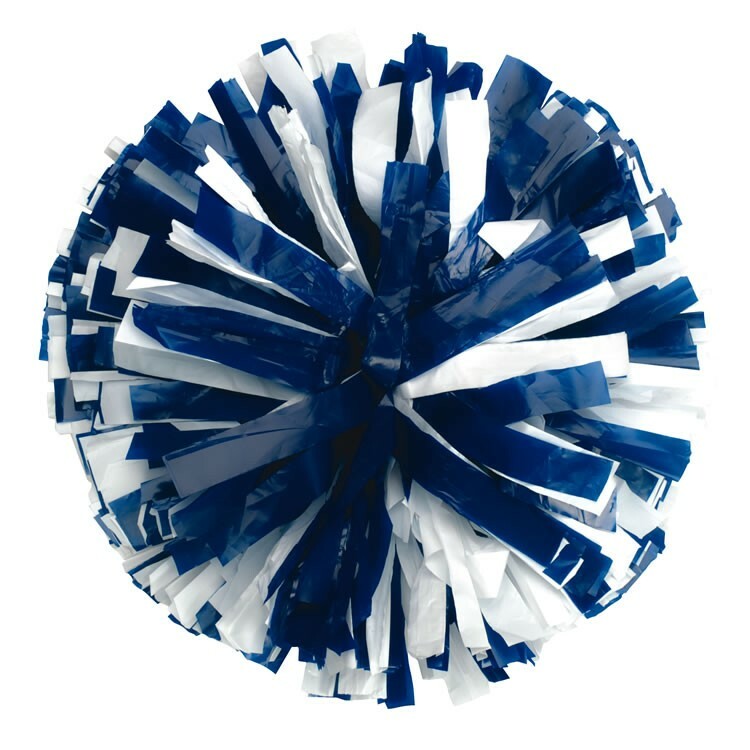 These Cheer Poms are the same poms used by cheerleading squads around the world. 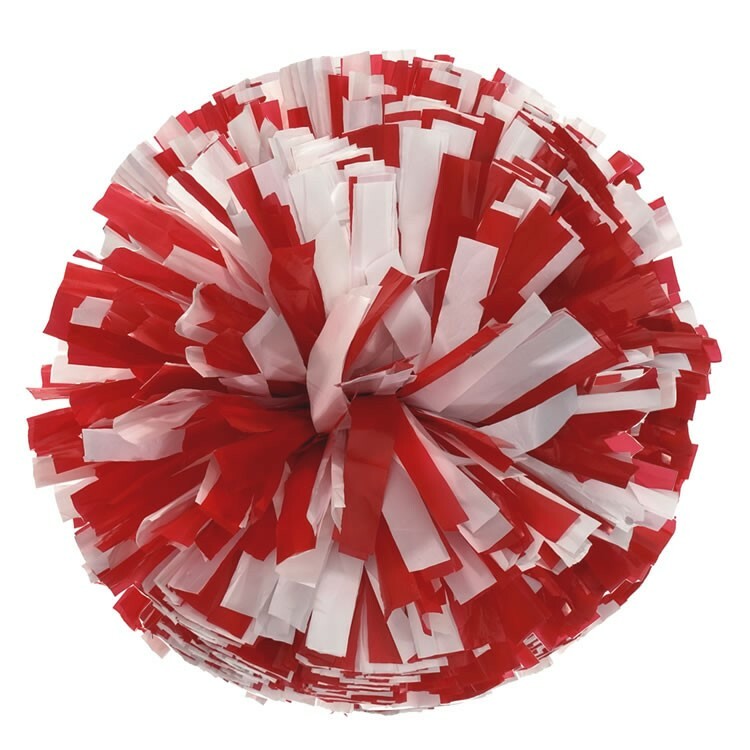 Available in over 100 popular school color combinations, these poms are ready for immediate shipping. 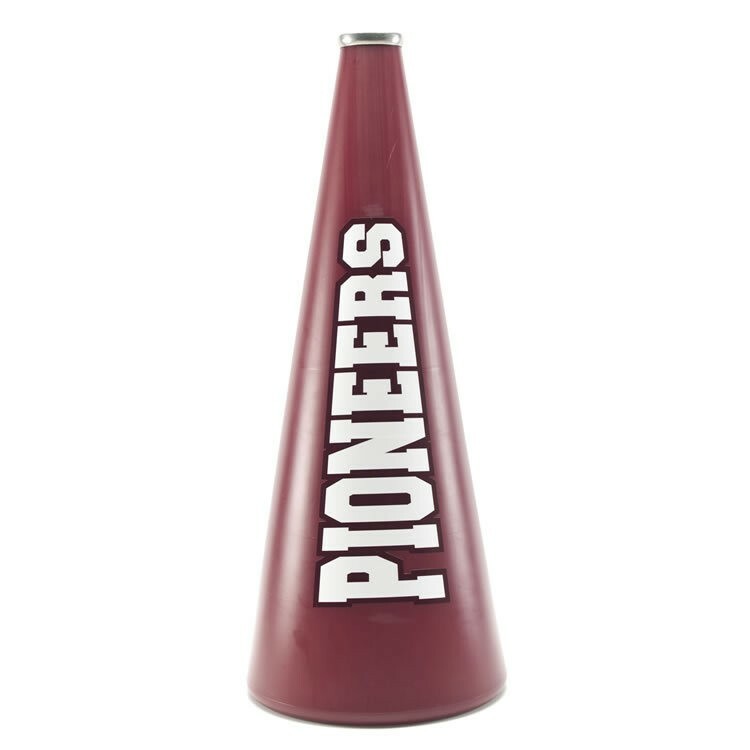 Choose between either the standard 1,000 streamer “Show" pom or the smaller and lighter 500 streamer “Youth" pom. Constructed of either plastic or metallic materials, all poms are completely waterproof, shed-proof, and fade resistant. All show poms feature a plastic baton handle. 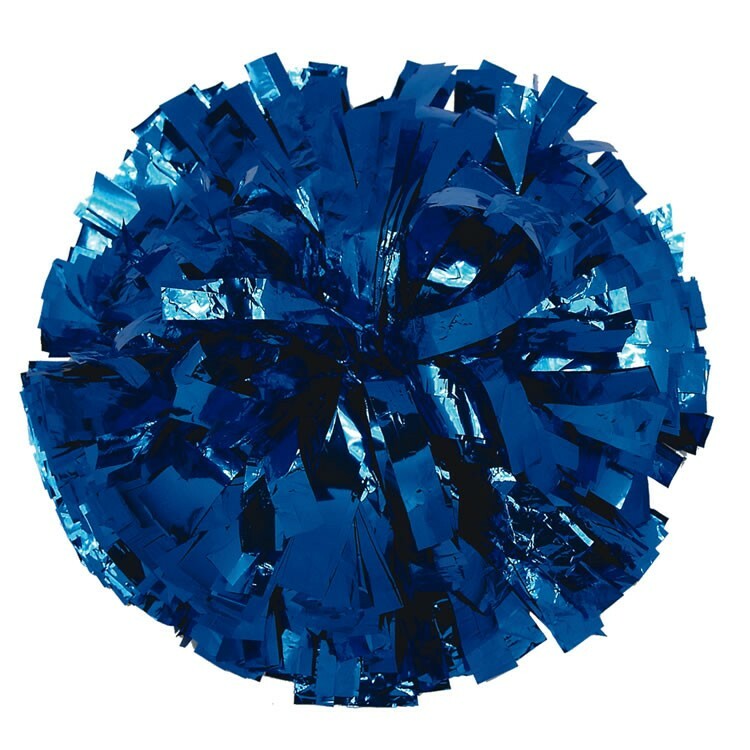 All youth poms feature a plastic kap handle. Over 200 styles in stock and ready to ship. Standard and Youth sizes available. Plastic, Metallic & Glitter styles. Made in USA. 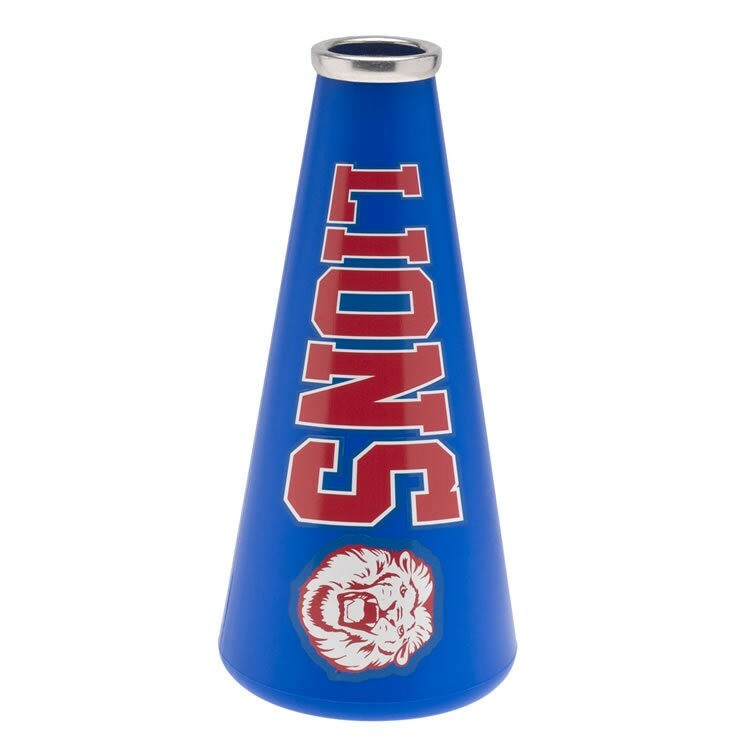 Decorate your cheer phone with the optional cheer phone decal, customized with your team name and colors in select font and mascot styles. Please inquire for details. 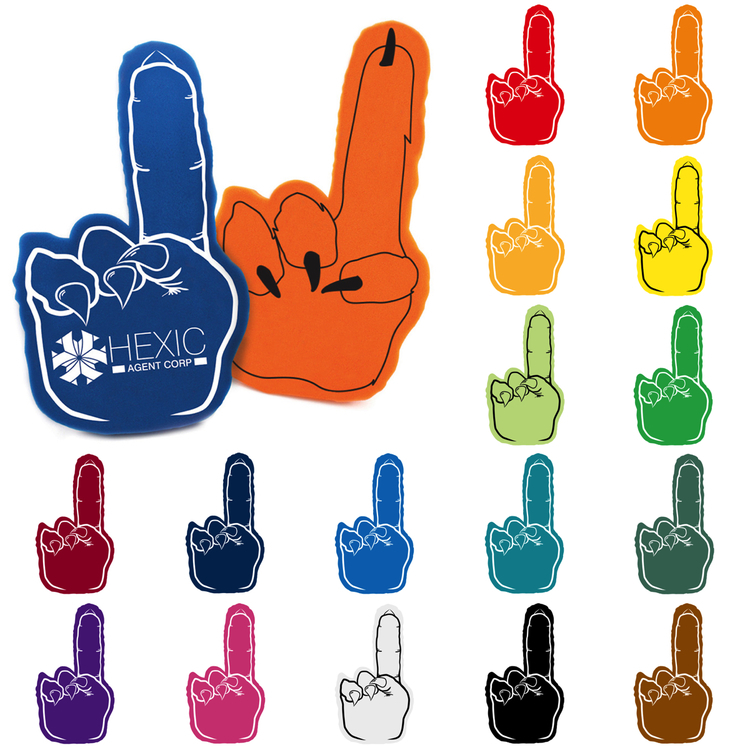 Support your team the right way with this three-fingered foam hand waver. 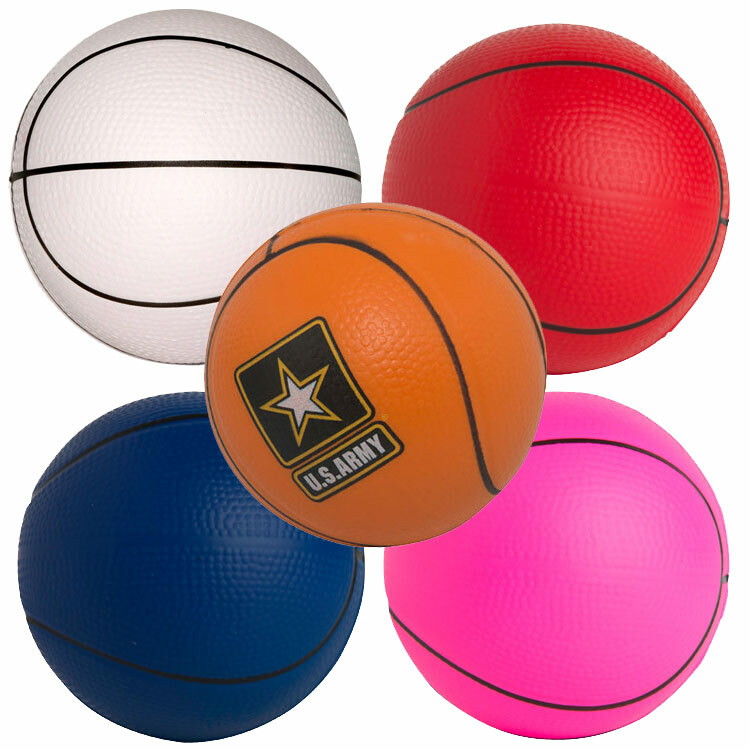 It comes in an array of colors to match anyone’s team. 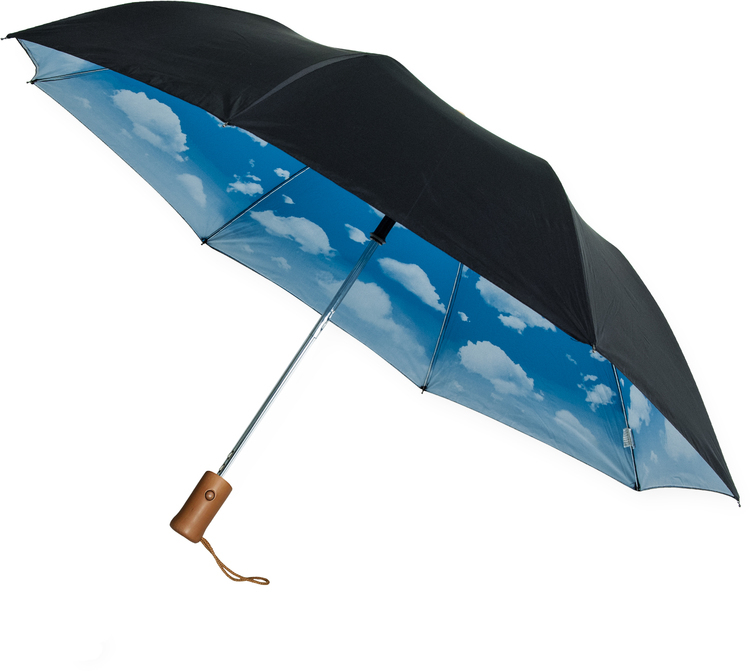 Imprinting is easy with available silkscreening. Help your customers cheer on their favorites and celebrate 3 consecutive championships. Have even more fun at your next sporting event with the 3 talon foam claw. This foam talon features three claws and a large imprinting space for your business name, logo, team or message. 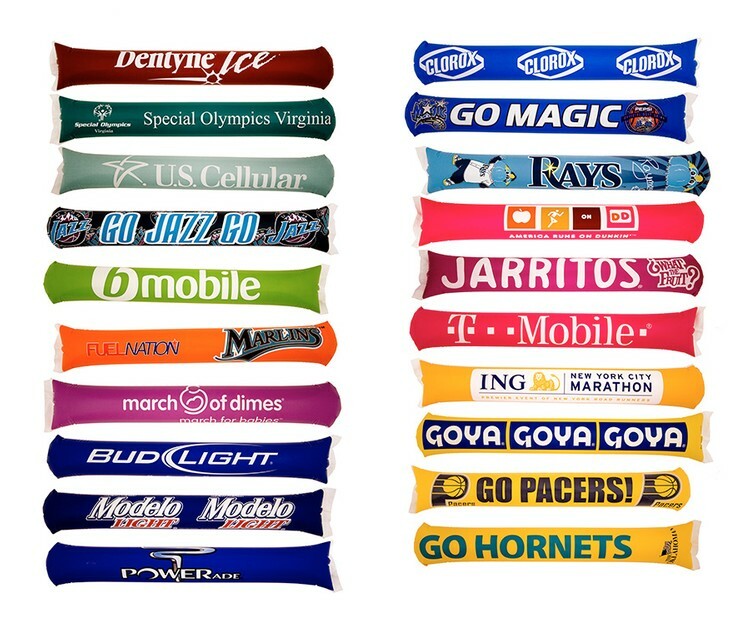 Available in a variety of colors, it’s the best way to show thanks to fans or customers alike and makes a perfect giveaway at the game or event. It’s CPSIA compliant for children’s use, too! 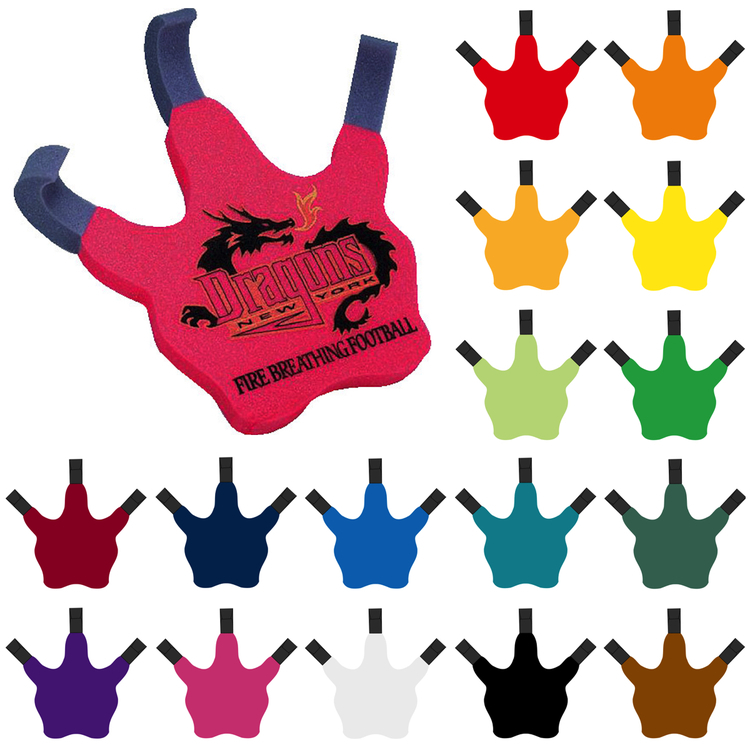 Be the one with the best wave and get the 5 talon claw mitt. This foam talon features five claws and a large imprinting space for your business name, logo, team or message. 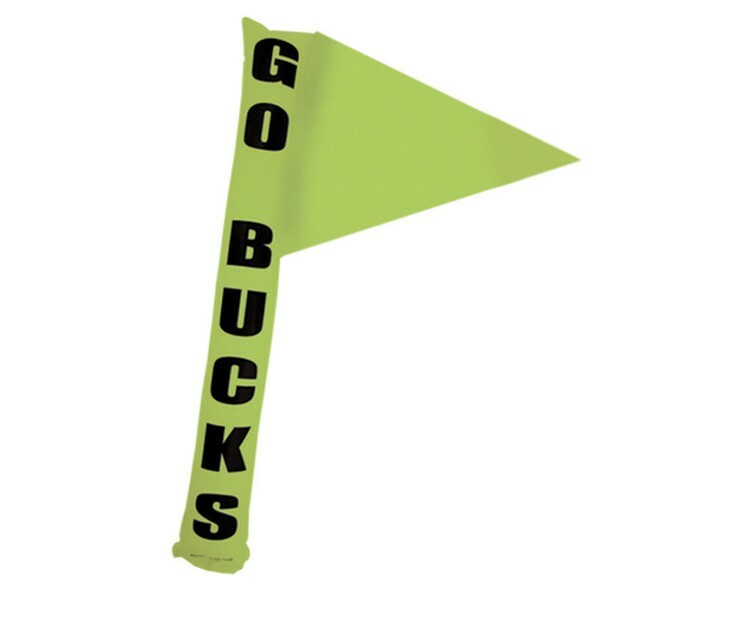 Available in a variety of colors, it’s the best way to show thanks to fans or customers alike and make the perfect giveaway at the game or event. 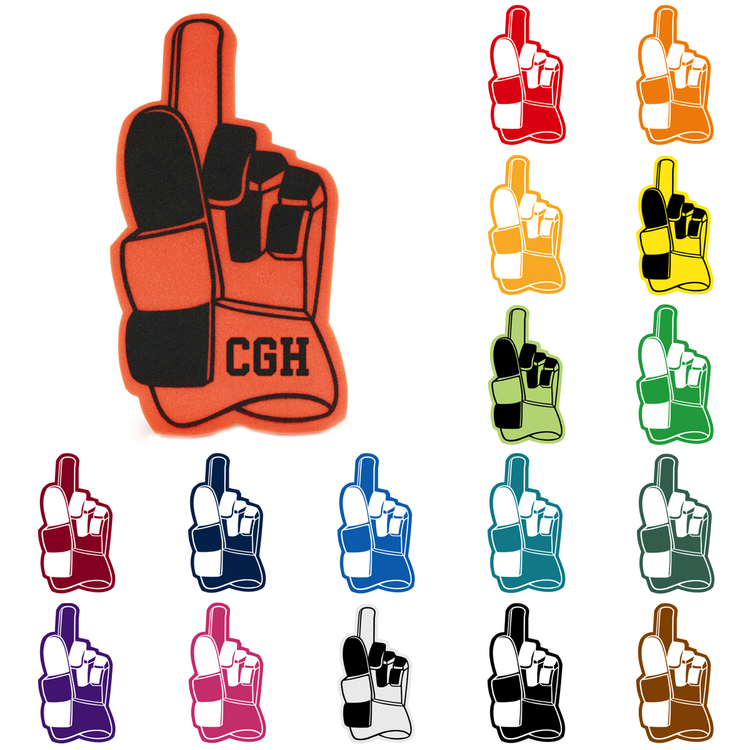 Show your team spirit with the one and only foam claw talon hand! 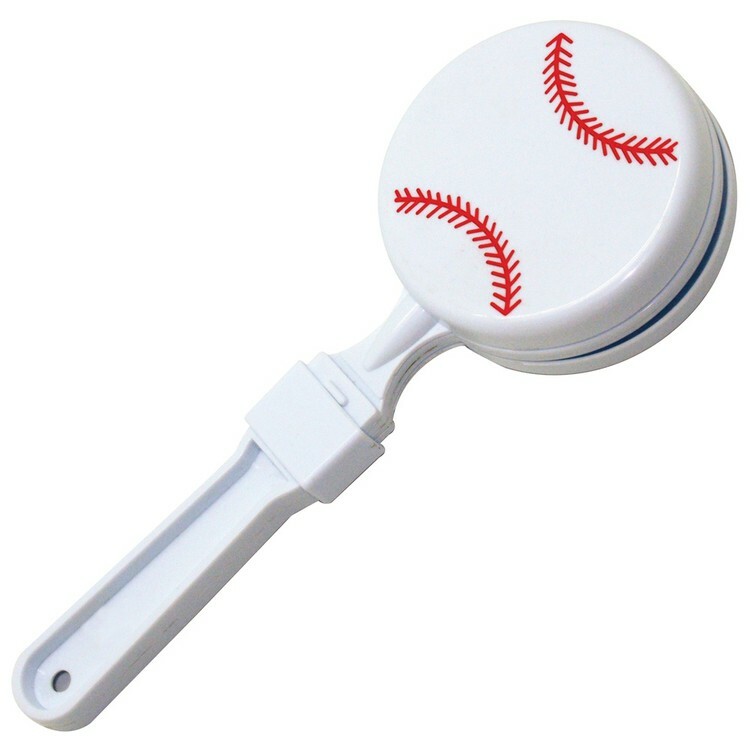 Baseball clapping hands noise maker is an inexpensive way to cheer on your favorite team in style! Perfect as a fundraiser for the local team or to promote a sports bar. Give as a thank gift to fans and customers. Products are not intended for use by children or pets. They may present a choking hazard to children under 3 years of age. 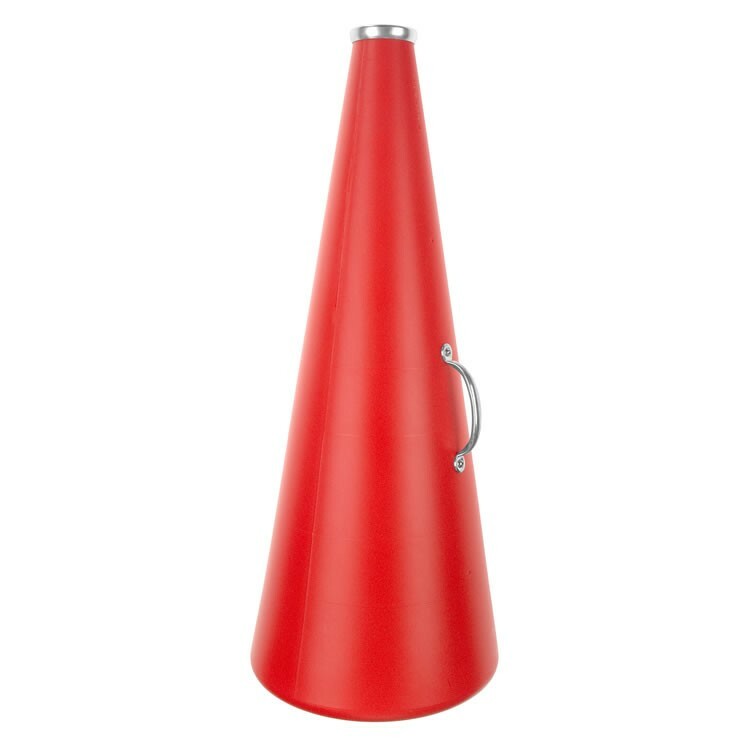 Sports fans all around the world love these best-selling noisemakers. 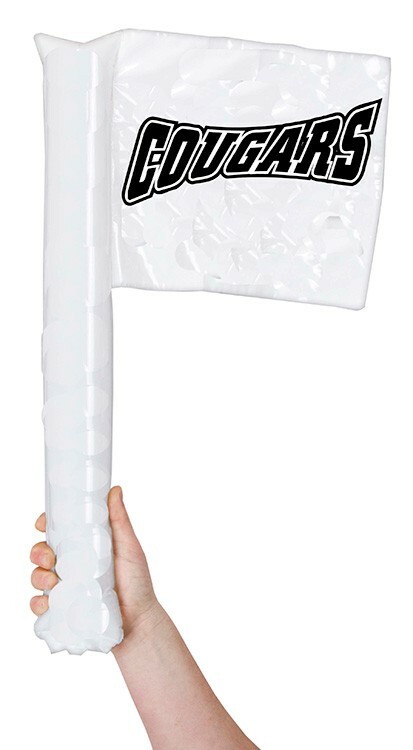 When inflated and sealed, fans hit them together for loud cheering fun. Sold in pairs. 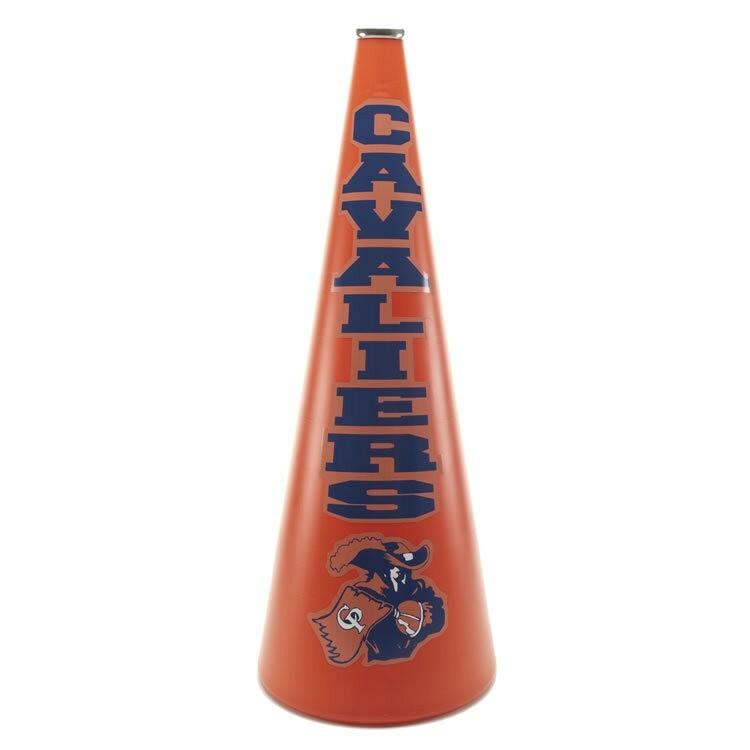 Made from 100% recyclable polyethylene. 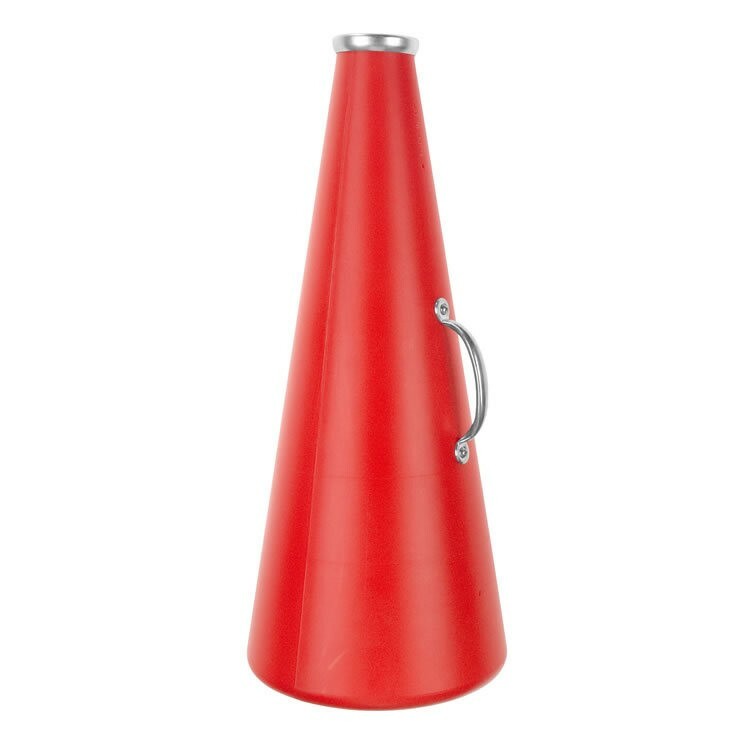 Although they are a lot of fun at sporting events, these personalized noisemakers can be used to promote any type of company or fundraiser. 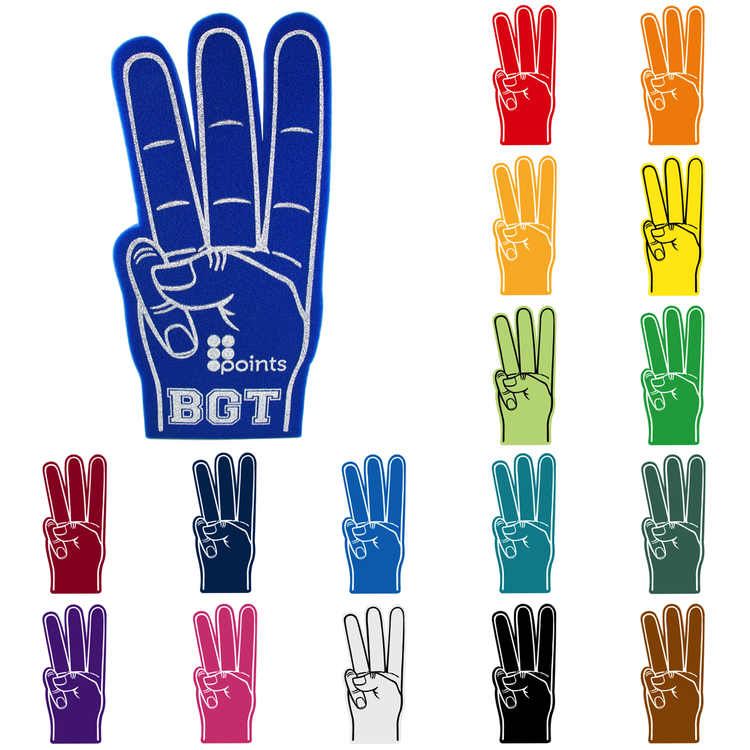 Give your team your all with the 4 claw paw. 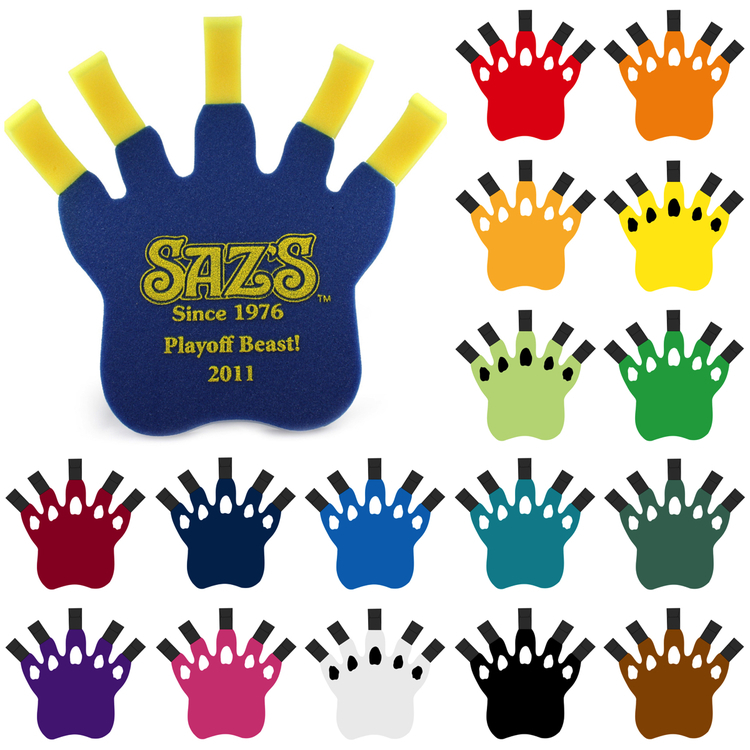 This foam novelty features four claws and a large imprinting space for your business name, logo, team or message. Available in a variety of colors, it’s the best way to show thanks to fans or customers alike and makes a perfect giveaway at the game or event. It’s CPSIA compliant for children’s use, too! 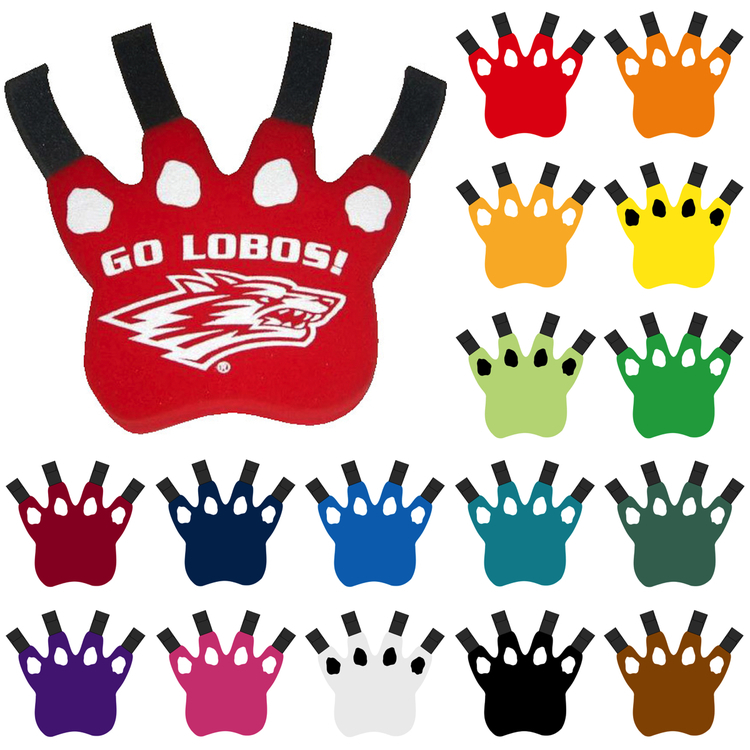 Show your team spirit with the one and only foam claw talon hand. Do more than “scratch” the surface at your next game with this monster claw cheering mitt. This is the perfect glove to intimidate the other team and show the competition you mean business. It’s available in many colors and imprinting is available using the silkscreen method. CPSIA compliant for children’s use too! 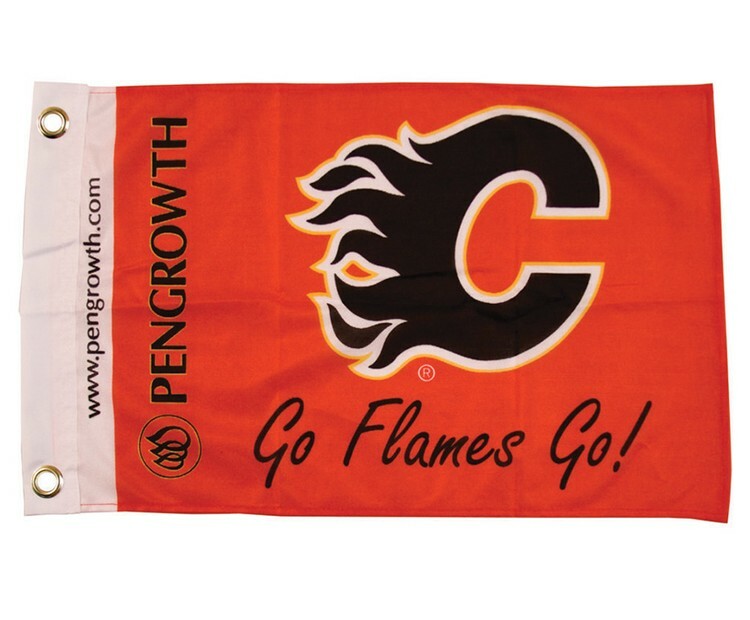 A unique alternative to towels at sporting events, it offers the same visual and cheering stimuli and can be hung up on the wall afterwards as grommets are included!